I know it’s Tuesday, but I could not come up with anything for the #BlogBattle that wasn’t rubbish. So battle on BlogBattlers…hope to see you next week!! So today I am going to start my Three-Day Quote Challenge (see rules below). Thanks to my fellow #BlogBattler, Marje @ Kyrosmagica for the nomination!! 3 quotes on 3 consecutive days…here we go!! Oh so simple. I think Meryl Streep, is such a beautiful, classy lady. I actually just came across this one yesterday, and it is something I realized not too long ago. I would plan, and talk and dream and think about doing something, but never took one step in doing it. Plans are good, but even the best laid plans are just that, if they are not executed, or started!! • Thank the blogger, who nominated you. • Publish 3 quotes on 3 consecutive days in your blog. It can be your own, or from a book, movie or from anyone who inspires you. • Nominate 3 more bloggers to carry on this endeavour. This entry was posted in Blog Challenge, Quotes. Bookmark the permalink. Love this and it’s actually very well said! Just need to take that first step and do something towards what we want/dream/aspire to achieve. Hard to imagine you writing rubbish! When I was well enough to build airplanes, I used a modification of this quote…mine was ‘start by buying the engine’. Making that commitment meant that I could not back away, or slack off. It’s the most expensive single item needed, and buying it first, even if you won’t need it for a couple of years, makes a connection with the future, in which this thing is gonna fly. Great quote Carrie Ann, and thank you for joining in the challenge. I missed out on participating in the #BlogBattle this week too! Intended to join in but been too busy enjoying my holiday, and I was struggling a bit with this week’s prompt. Fantastic quote! 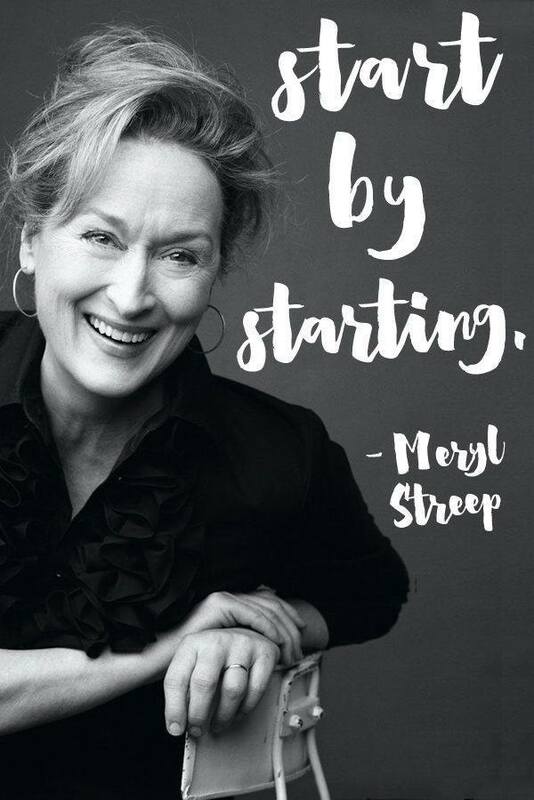 It is really resonating with me, start by starting. Love it!